OK, as you know, we have a pomegranate tree. Last year was the first year we really got pomegranates off the tree as it produced roughly 22 pomegranates. Sadly, we had a neighbor who was pilfering our tree so we only got to eat 12. It really irked me, too. This year, I have no idea how many pomegranates the tree produced. I know we have harvested at least 24 and there are another 22 on the tree. 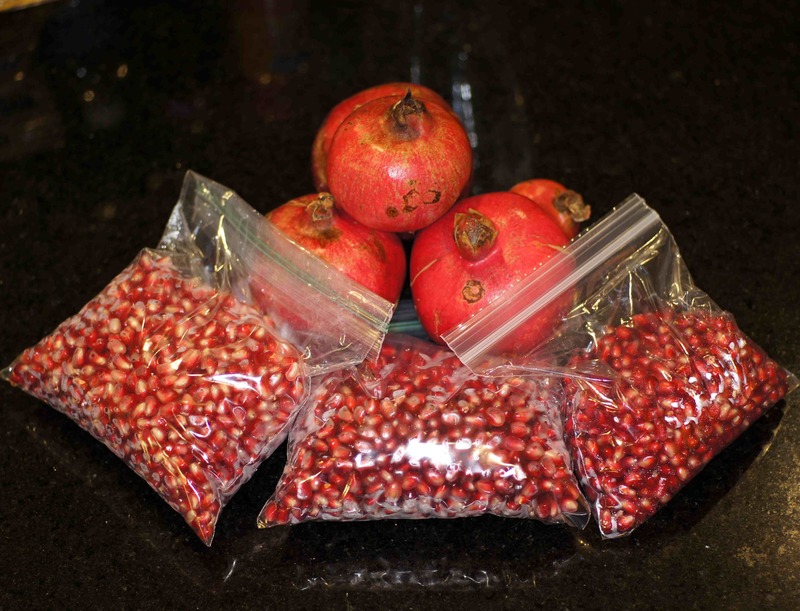 © 2013 REMCooks.com – I missed another bag of pomegranate seeds (arils) in the fridge and each bag has the arils from 2 pomegranates. Unbelievably, however, we have lost 1/3 of the fruit to some critters. They are either mice, rats, squirrels, birds or a combination of two or more of them. Apparently, in times of drought like we have been experiencing critters take to fruit trees for a water source. Once the critters open the pomegranates, the birds then come in. It was pretty amazing to see a pomegranate shell completely hollowed out on the inside. Oh well, as long as the tree continues to proliferate I guess we can afford to share our bounty with the critters of the area. We love pomegranates. We eat them for breakfast with our yogurt, sprinkle them on salads (here, here and here) , dress eggplants with them, use them in chile rellenos, in seafood dishes (here and here) and in poultry dishes (here and here). 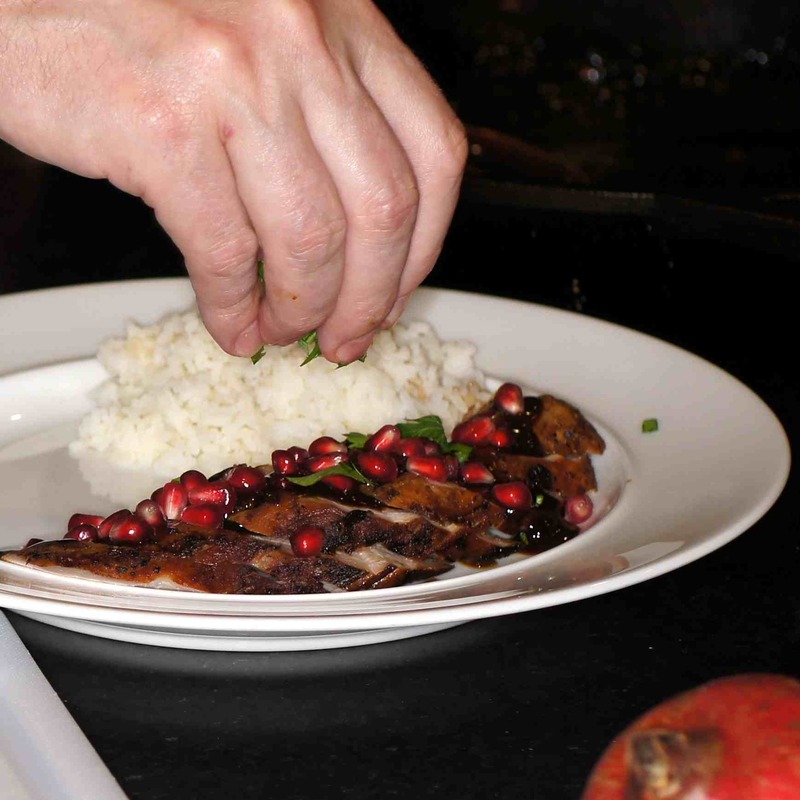 This time we used the pomegranates with a pork dish that is absolutely delicious. The sweet tanginess of the pomegranate couples with the salty savoriness of the soy sauce to provide you a taste tantalizing flavor sensation. 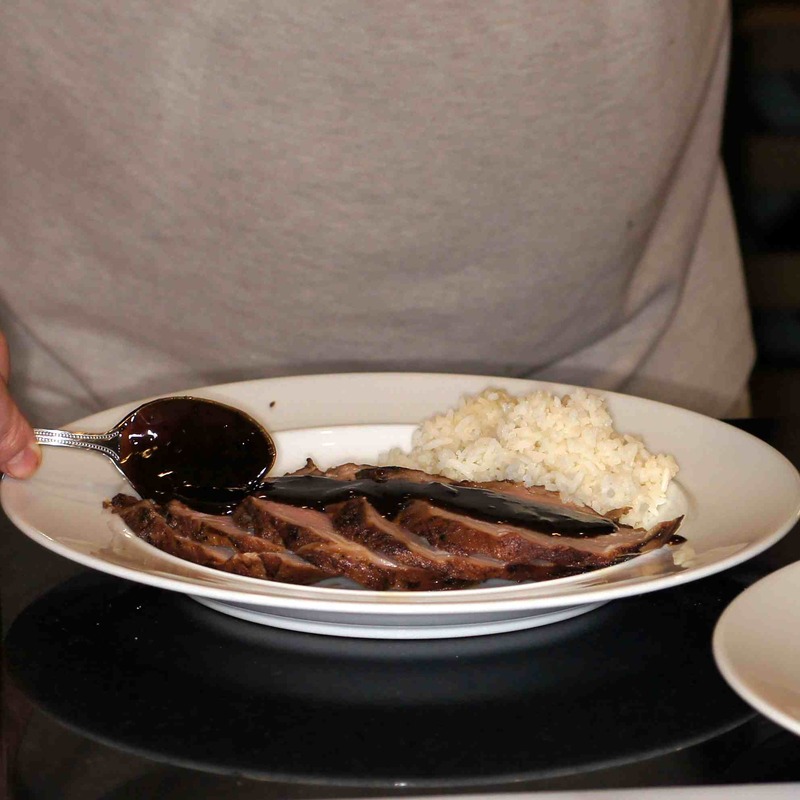 You definitely need to give this dish a try. This is what we did. 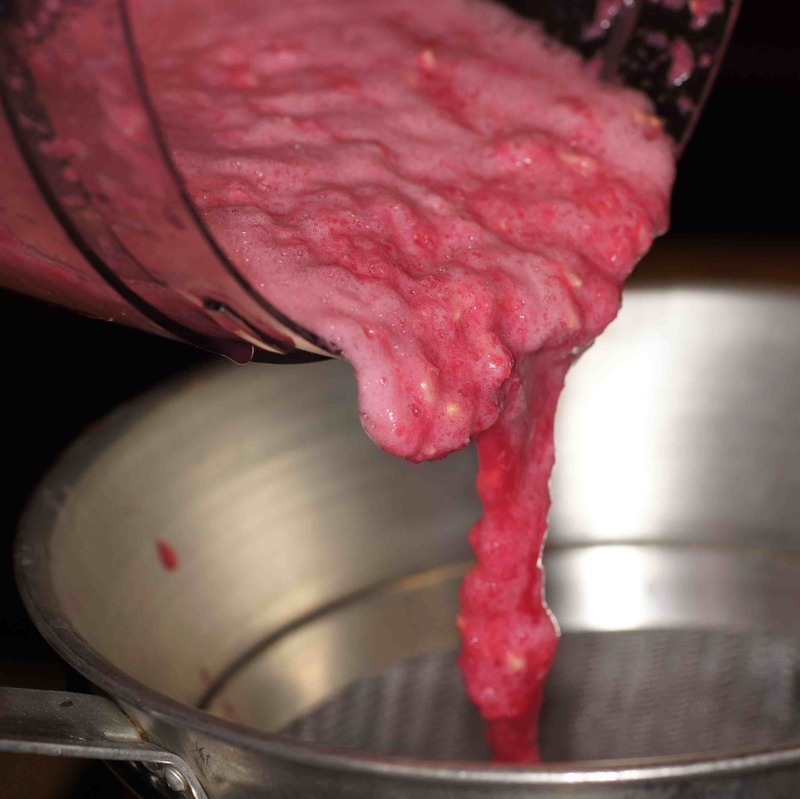 First thing first, if you’re going to use fresh pomegranate juice, make the pomegranate juice. 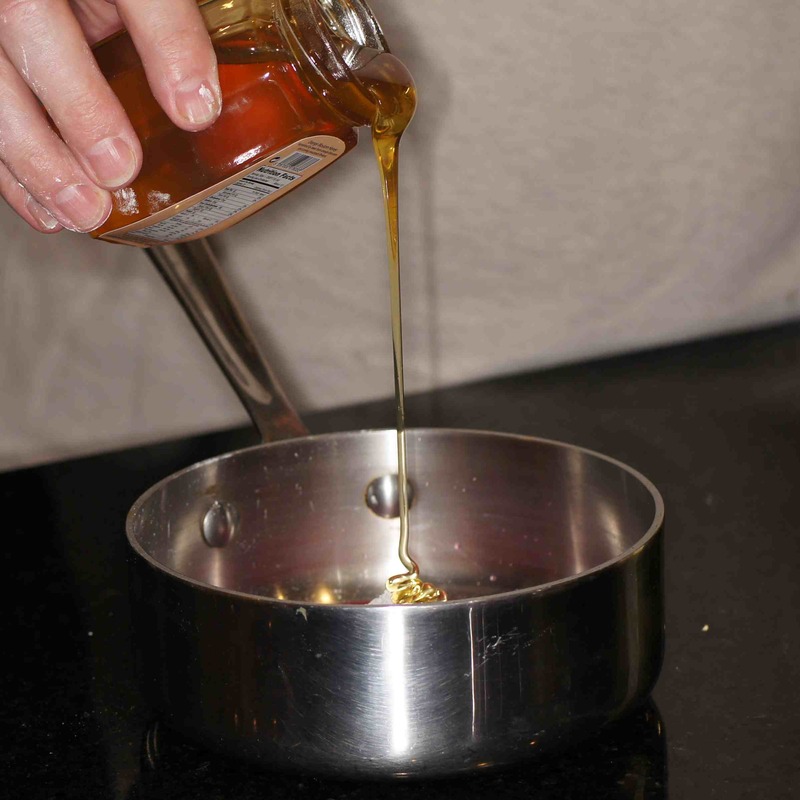 (If using POM, skip this step but use an additional 2 Tbsp honey) Add the arils to a food processor. 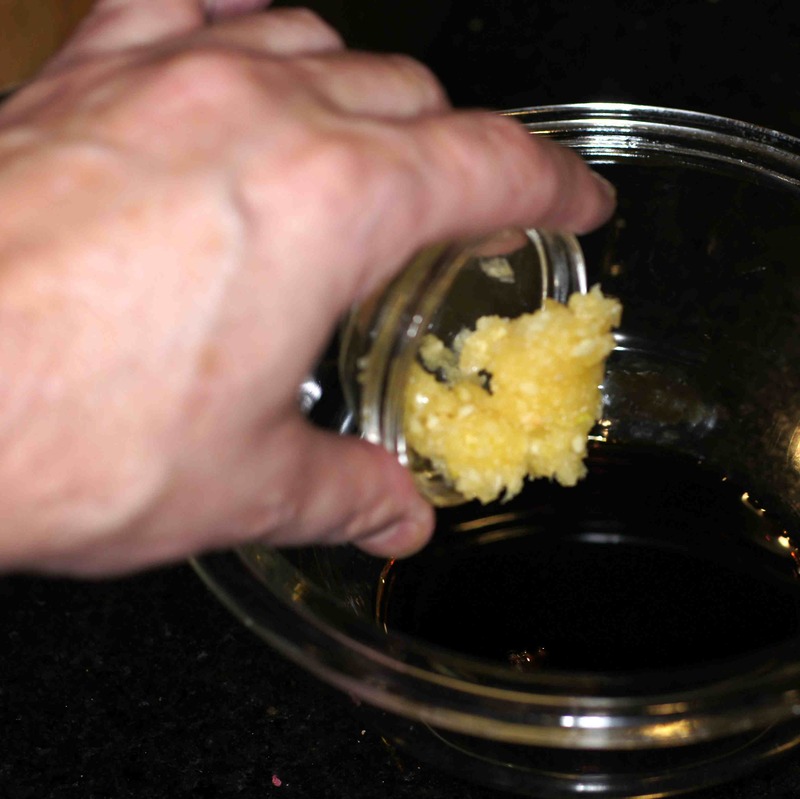 Strain through a fine mesh sieve of Chinoise. 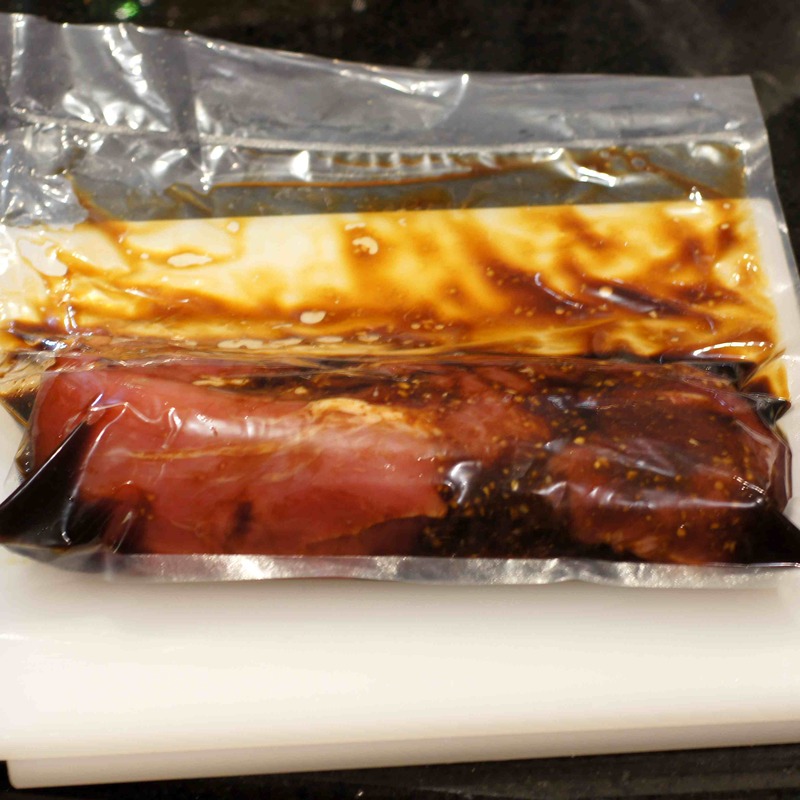 Place the pork tenderloin into a baking dish or a sealable plastic bag and pour the marinade over the pork. 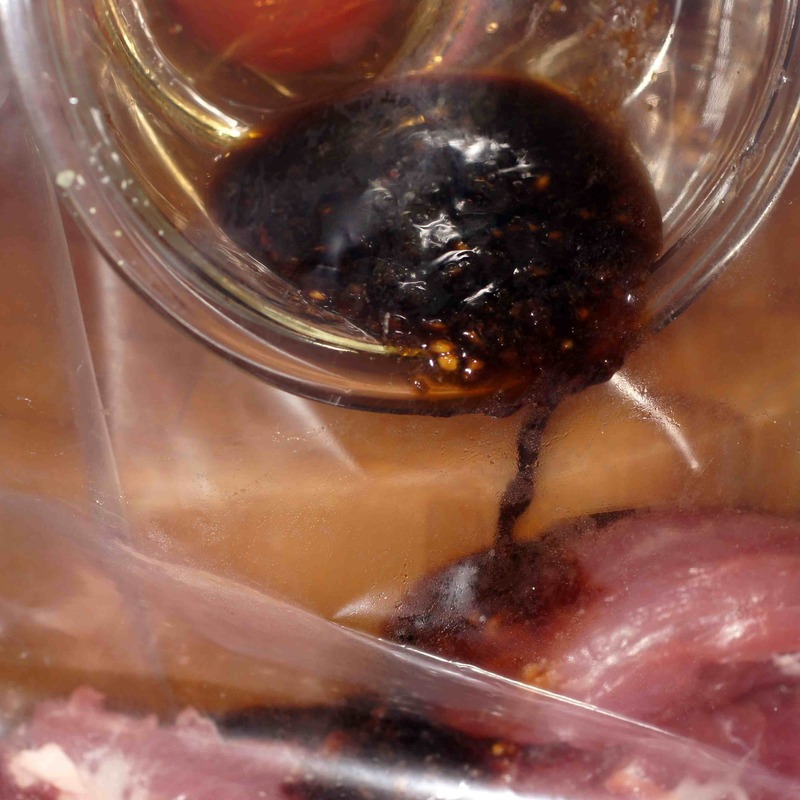 Cover or seal and marinate for not less than 1 nor more than 4 hours. 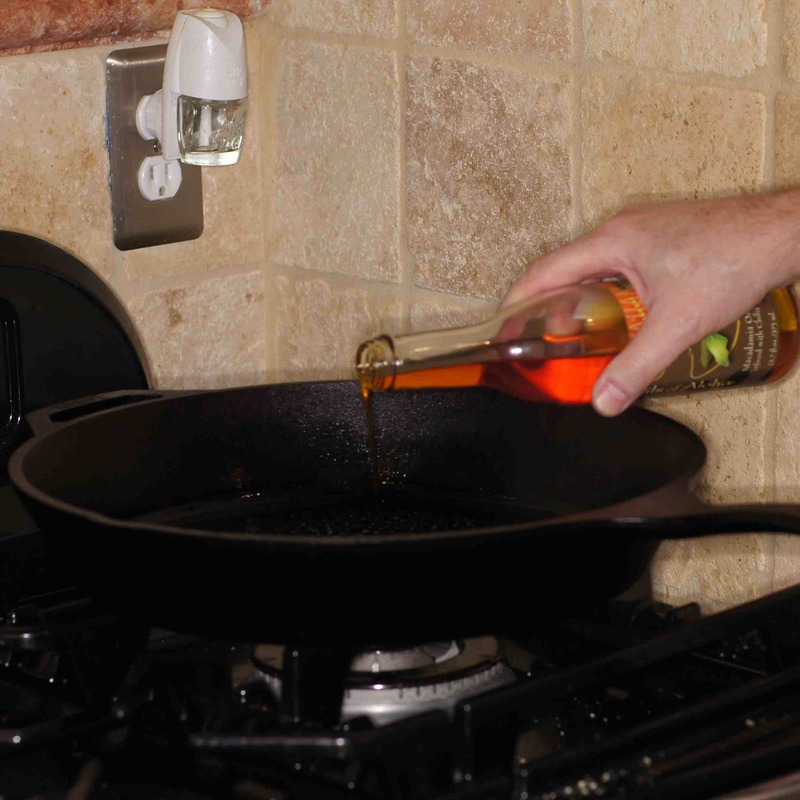 Pour oil into a heavy bottom skillet, preferably cast iron, over high heat. 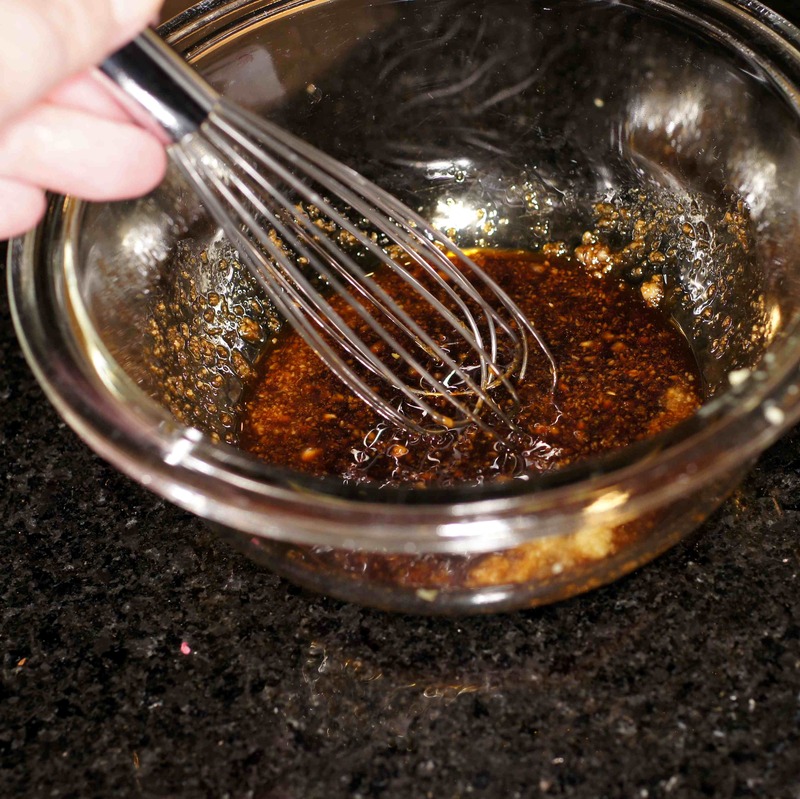 Remove pork tenderloin from marinade and place in hot skillet. 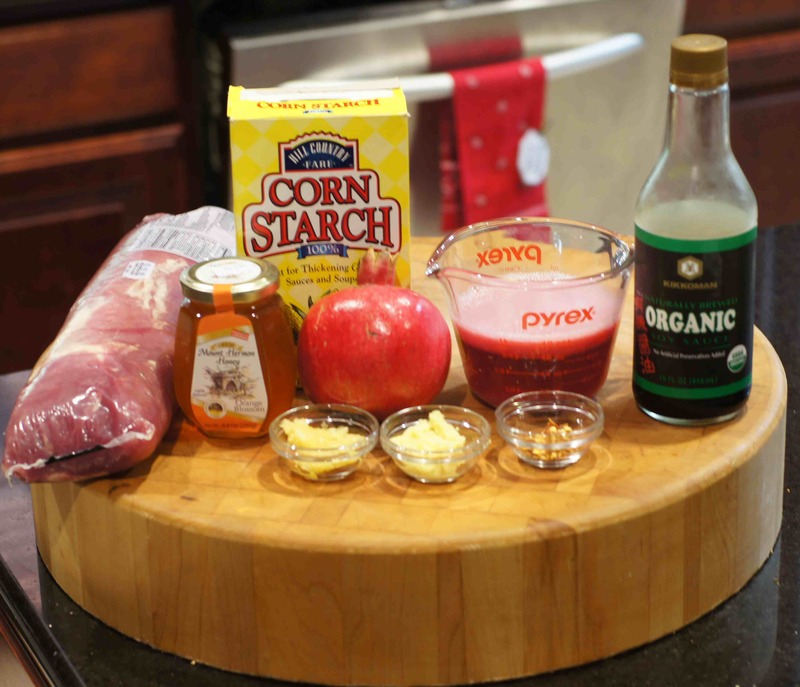 Place pork tenderloin in oven and pour remaining marinade over the top. Roast for 20 minutes or until the internal temperature reaches 142-45 F for a medium (or to your desired doneness). 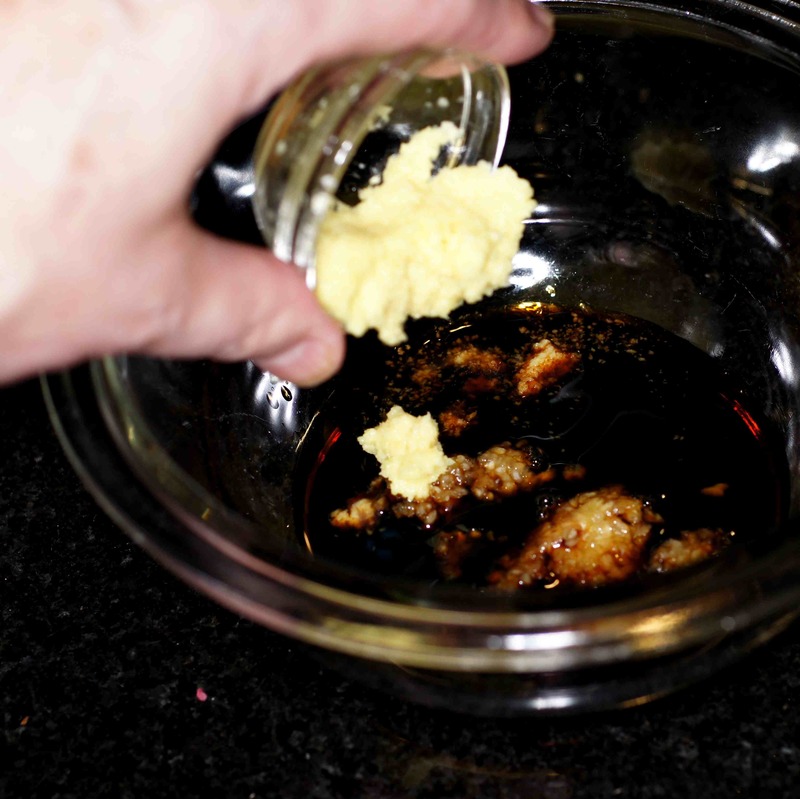 Place over medium heat and simmer until a nice syrup forms. 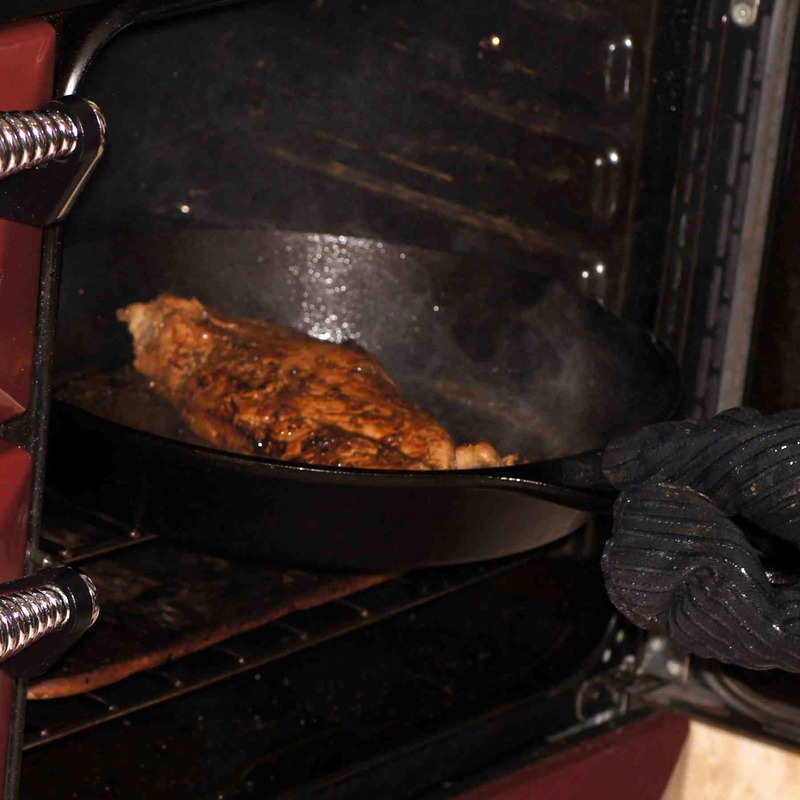 Set aside until pork tenderloin is cooked. 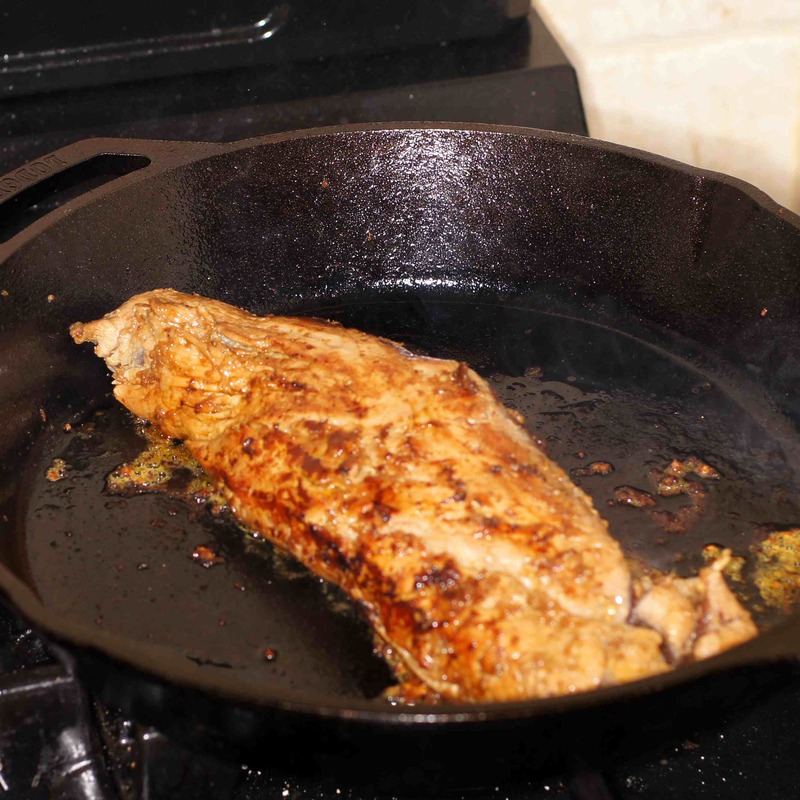 Remove pork tenderloin from oven and skillet. 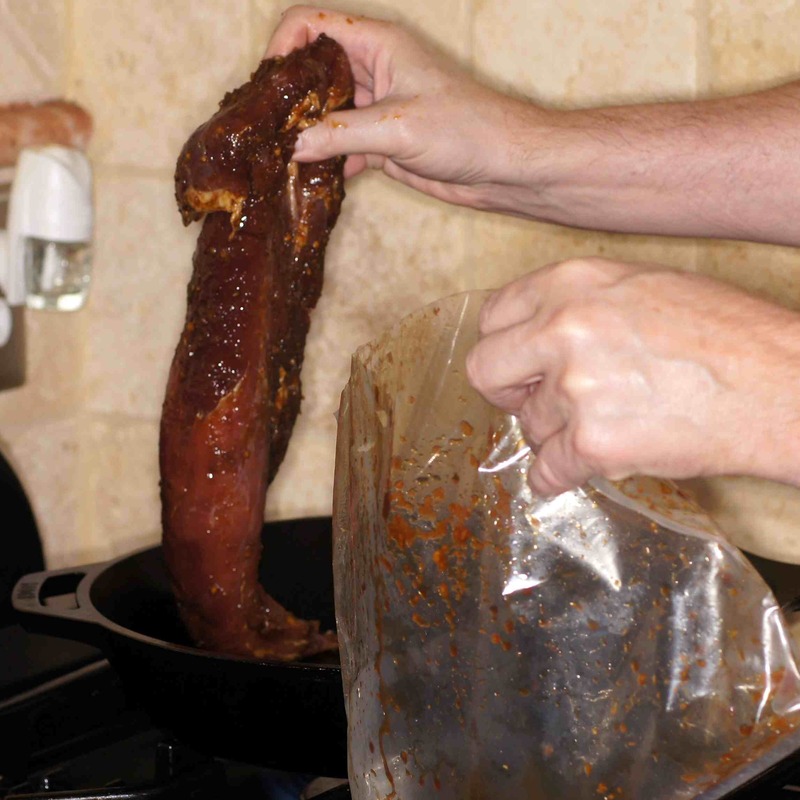 Tent and allow pork tenderloin to rest. 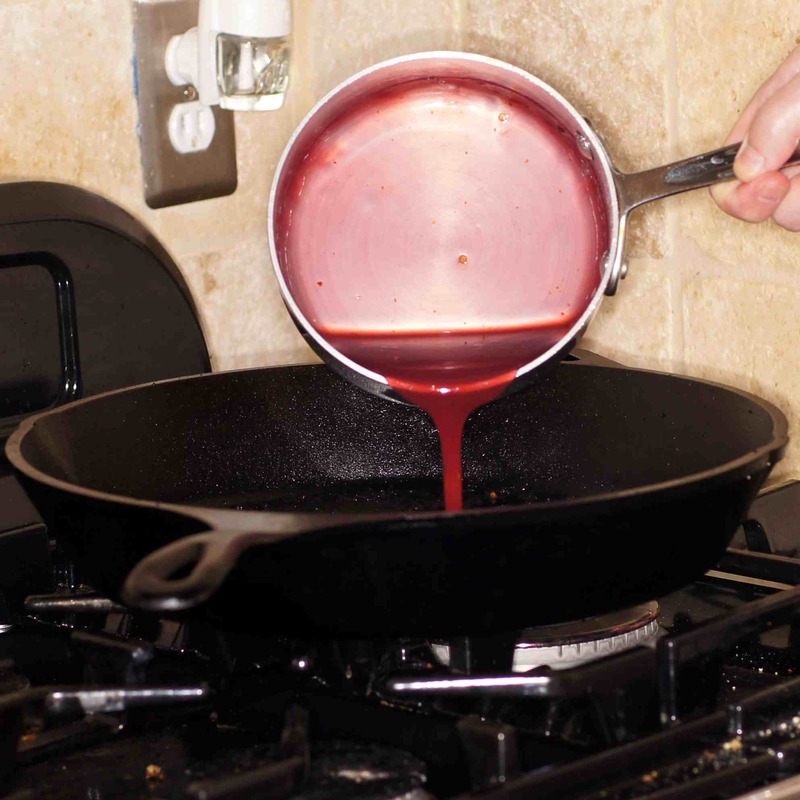 Put the skillet over medium-low heat and add the pomegranate syrup mixture to deglaze the pan and form the pomegranate sauce, scraping up any pork and tasty bits. 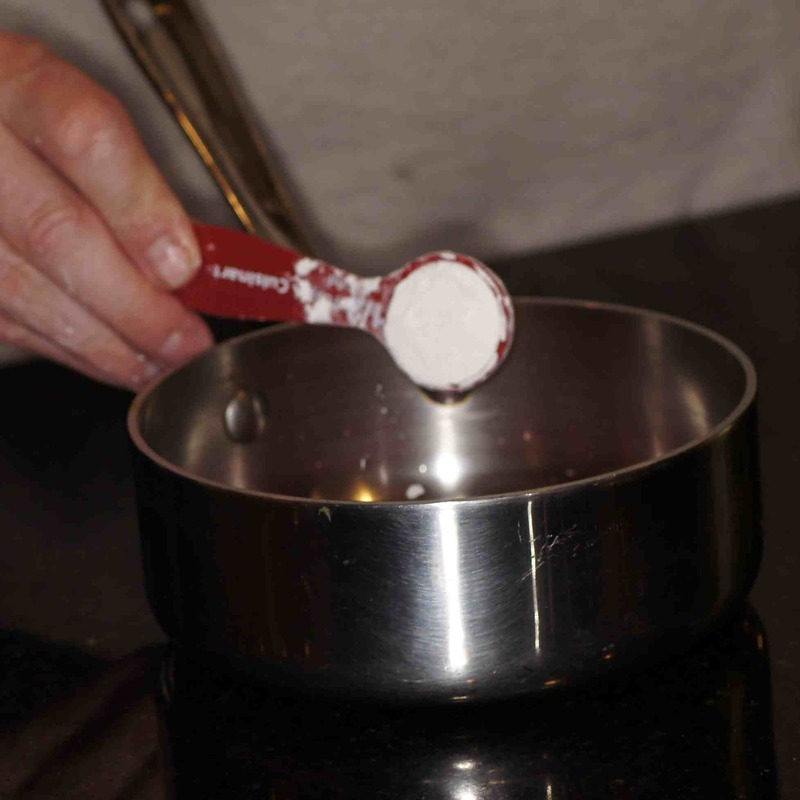 Allow to thicken to desired consistency. 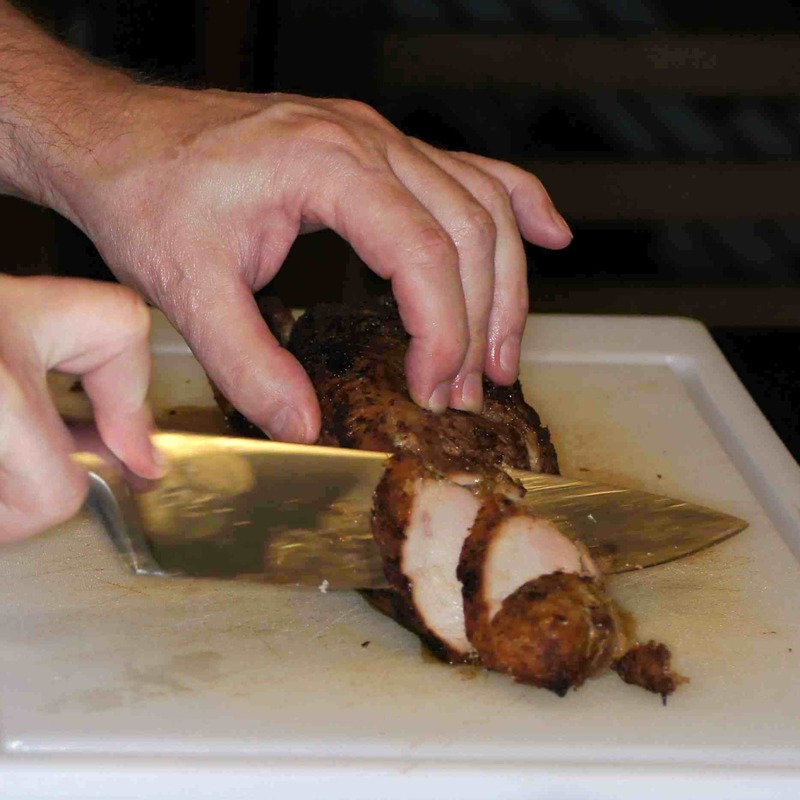 Slice pork tenderloin on an angle. Put on a plate and spoon sauce over the top. and a little chopped parsley for added color. Richard, that looks amazing!! 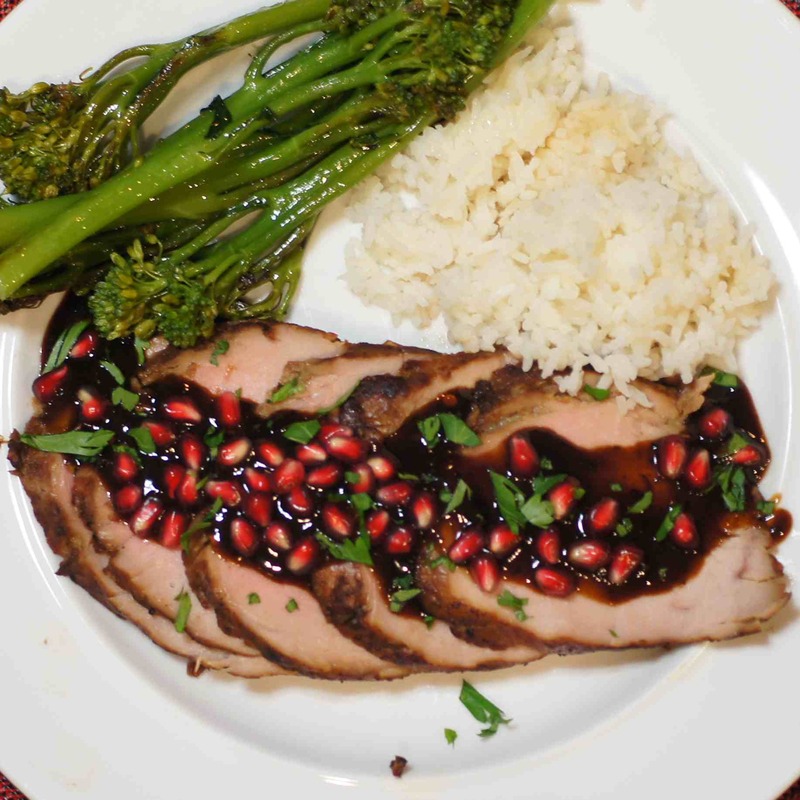 I am a huge fan of pomegranate molasses, so that reduced sauce sounds like heaven with the tender pork and crunchy pomegranate arils (by the way, I didn’t know that was the ‘official term’ until today, thanks for teaching me something!). Sorry to hear that you have a dodgy thief of a neighbour. That would’ve riled me up also. Hopefully this year they’ve kept their hands off!! Thanks, Laura, for the nice compliment. 🙂 Pomegranate goes so well with so many things. It was divine in the sauce to accompany the pork. As for the dodgy pilfering neighbor, so far the only brazen pomegranate thieves have been the critters but the tree produced beautifully this year so it was OK to share a few (20+) with the wildlife. I’m salivating!! Jealous of your pomegranate tree too… Nearly as exciting, we planted 2 passionfruit vines 2 years ago, and they have their first flowers! 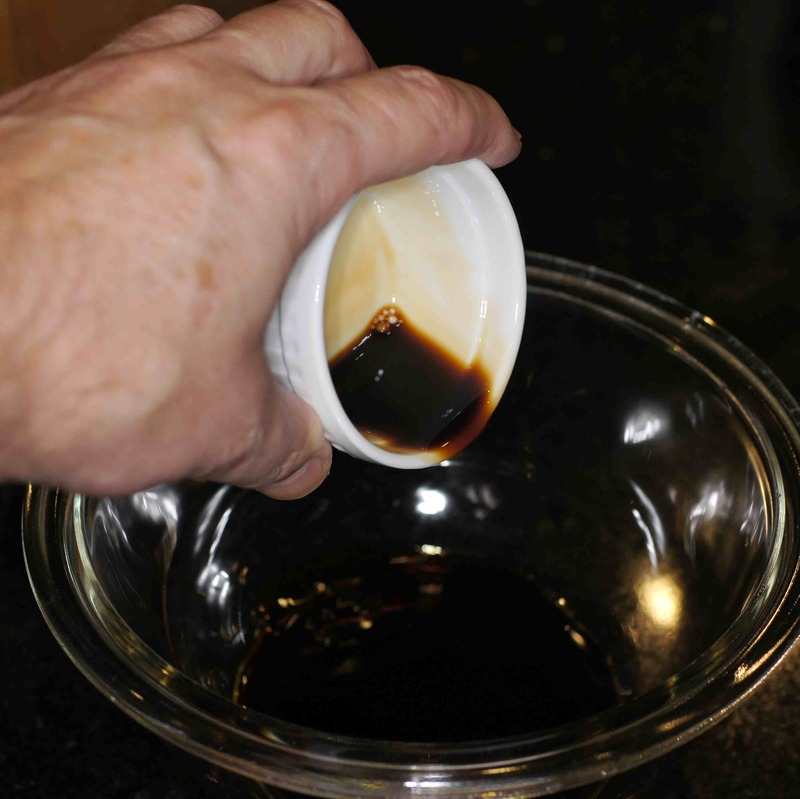 I have a friend who recently gifted me with pomegranate molasses, I bet that would use up quite a few of them. Have you tried pomegranate guacamole? It’s very pretty and very tasty too http://kitcheninspirations.wordpress.com/2010/07/24/corn-pomegranate-guacamole/. 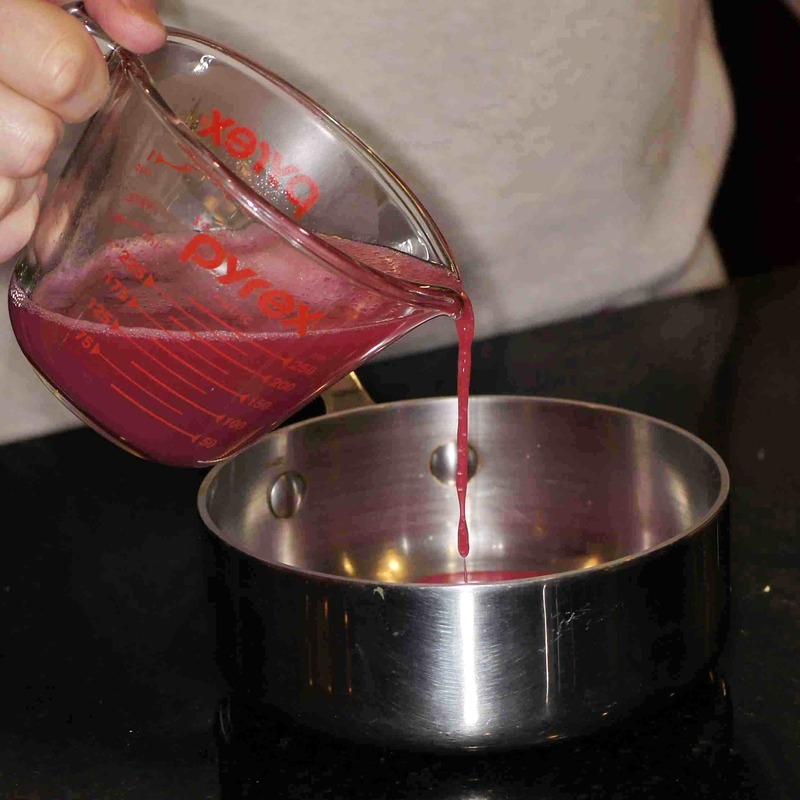 I’ve used pomegranate in a few recipes on the blog, it’ll come up with a search. Pomegranate and pork sound delightful, I’ll have to keep my eyes open for some sales, they are usually quite expensive here. How rude that your neighbour steals your fruit, I would have a word or two with them. Thanks Richard, I originally made the guacamole because I loved how beautifully the pomegranate seeds glittered like little rubies, but the flavour combo is quite exceptional and is always a bit hit at parties. 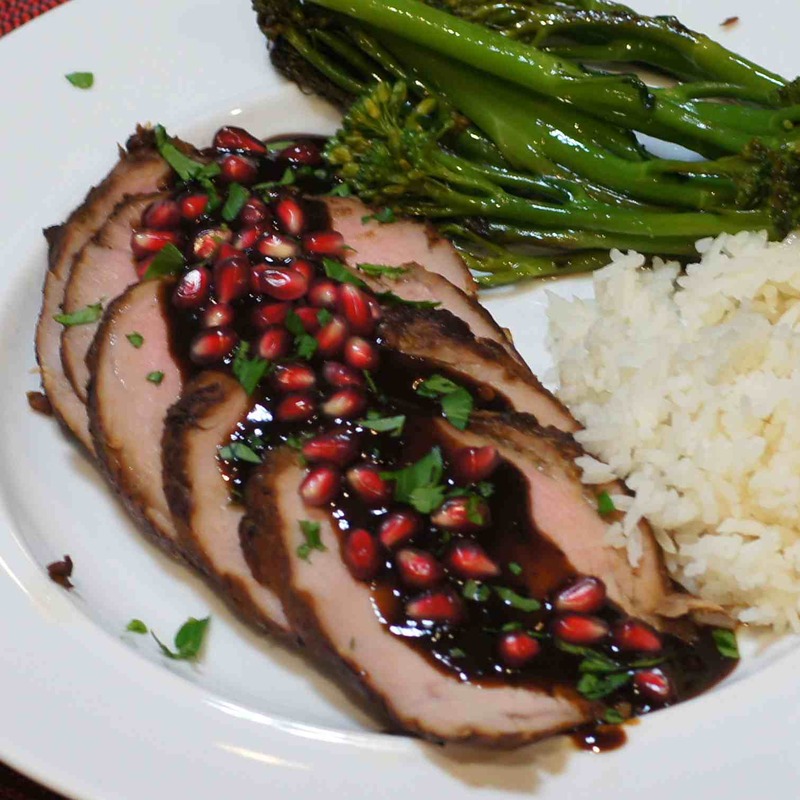 Wow, your pork tenderloin with pomegranate sauce looks divine! I wouldn’t mind coming for supper! Hi, Peggy. Pomegranates are a big part of middle eastern cuisine so I’m not surprised you found beautiful pomegranates in Teheran. They are such a wonderful fruit although they do stain anything they touch including your fingers. 🙂 We open them up and remove the arils and put them in plastic bags for later use. Most of them we have simply snacked on at breakfast or during the day. They are so flavorful. Thanks for sharing your recipes. Richard. We;; BAH HUMBUG on your pilfering neighbors, pffft! This recipe sounds divine. I would order this in any restaurant. 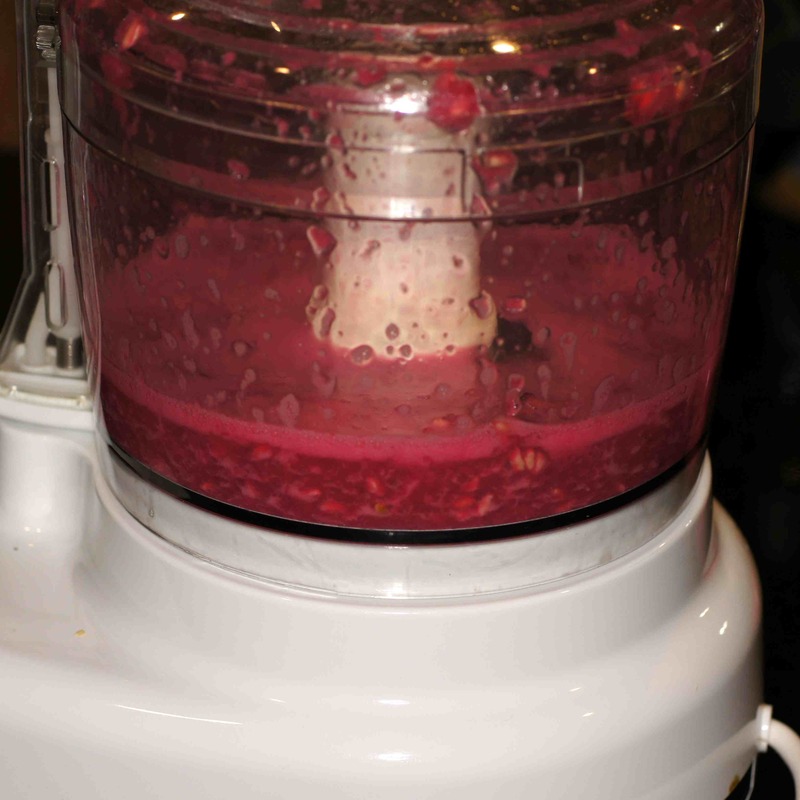 Just made fresh pomegranate juice for the first time as per your instructions above, and I *LOVE* it. It is indeed MUCH better than the bottled stuff, which I don’t like. In fact it’s so good I’m gonna do a post just about the juice 🙂 thanks Richard! PS is there an easy way to get the arils out? We have yet to find an easy way and we’ve read just about every way there is. 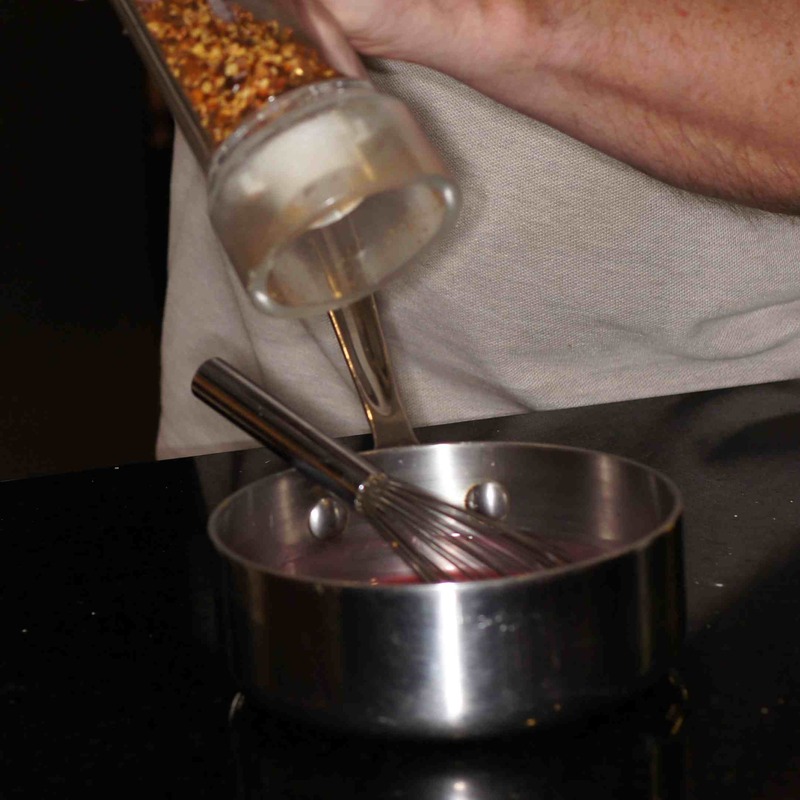 Some say if you split the pomegranate and tap in with a wooden spoon, he arils will fall to. I have tried countless times and never gotten it to work. We found the best way is to pull the blossom end off and cut the top off close to the top. Then score the pomegranate longitudinally. Next, pull at the top and bottom and the pomegranate will split in half. 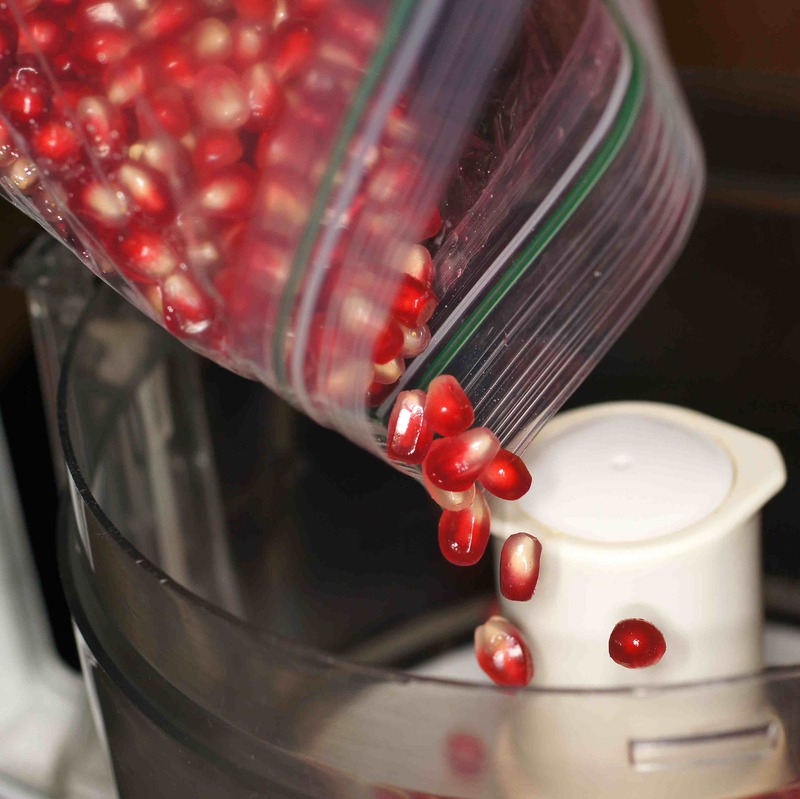 Then you can break it into smaller pieces and the pomegranates come out a bit easier. That’s the best I can tell you. That is basically how I did it. It is also advisable to wear an apron 😉 Another trick I used that I saw online is to put the arils with some of the white stuff that clings to them under water, as the arils will sink and the white stuff will float. Yep. We’ve done that, too. I’ll try it once again when we get some pomegranates. I still have 2 bags in the fridge from the last harvest. They keep refrigerated for about a month. I will be making pomegranate molasses today with the last bit or arils. My problem with the whacking the daylights out of the pomegranate is it bursts the aril membranes so you lose some juice. 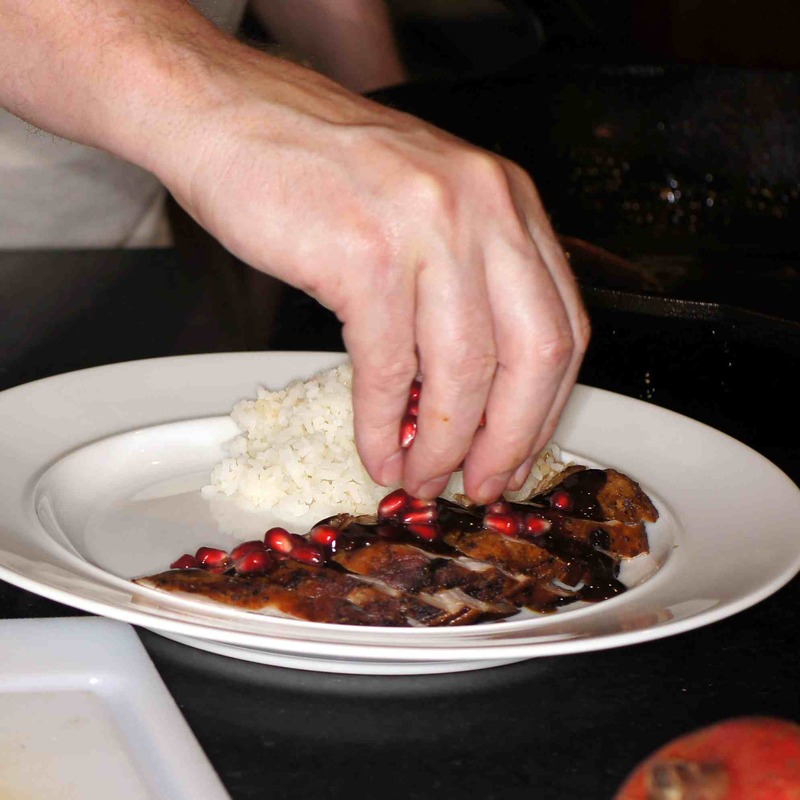 We use the pomegranate arils for so many things. We use them as garnish for soups, salads, main dishes, sides, desserts and even cocktails. We also really enjoy just eating them as they are. I love grabbing a handful of the arils and just popping them into my mouth. They are a wonderful snack. 🙂 The little tree brings us a lot of pleasure.